Yoga is big in Columbus and trending all over the world. There are a lot of studios, styles, apparel stores and lovers of this fitness option. I love yoga for so many reasons. It complements my running perfectly, allowing me to stretch and strengthen parts of my body that distance running doesn’t reach (hello pigeon pose!) It is fun to do solo, with friends or just with my little guy. There are so many options to meet your preference or your #mood including hot, vinyasa, restorative, deep stretch and more. I have to give credit for my latest love to my sister-in-law, Carrie. Carrie is a former gymnast and one of my yoga crushes – she can kick up into a handstand in the middle of a crowded room without a thought! Almost two years ago she started talking about lululemon and I was like ‘lulu who?’ Now I save all my pennies to buy an item from lulu here and there. 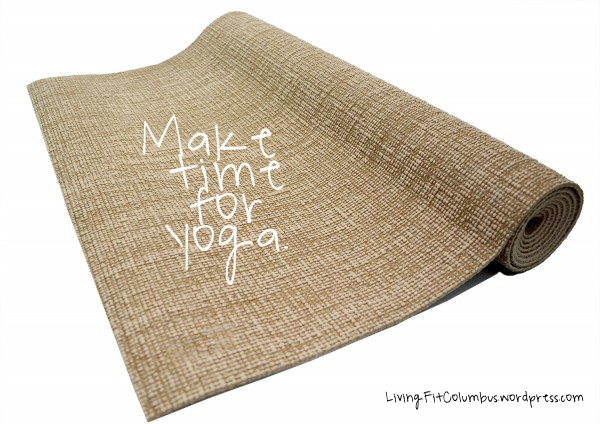 Prior to 2014, I thought of yoga as a slow, low-calorie-burning (almost boring) workout that I made myself do to stretch and compliment running every now and then. 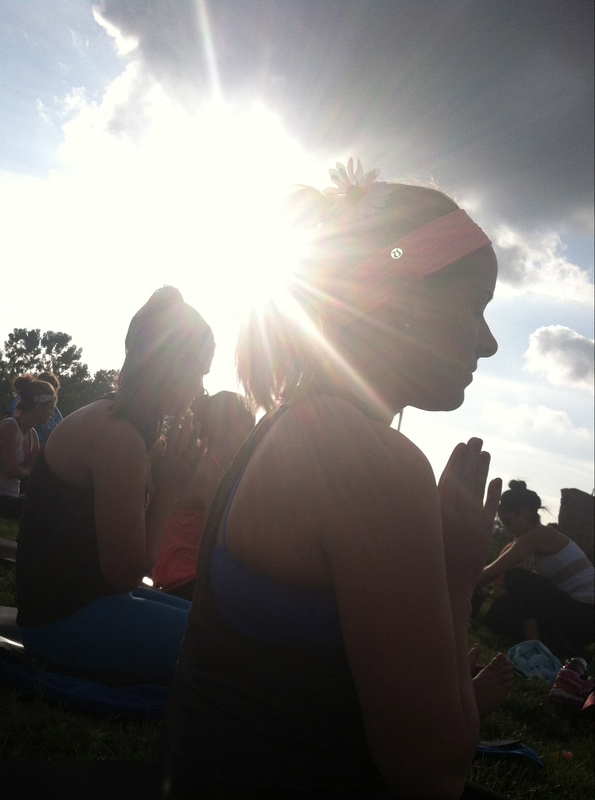 After Carrie talked me into trying Harbor Yoga this year, I was hooked. Carrie has pushed me to set new fitness goals – trying yoga in at least ten states – and trying new fitness activities like beach yoga, paddle board yoga and hopefully more adventures to come!